Port Shiloh Pool was originally built in 1955 as a traditional public bathing facility, featuring two swimming wells (one with diving), bathhouse, and pump house. 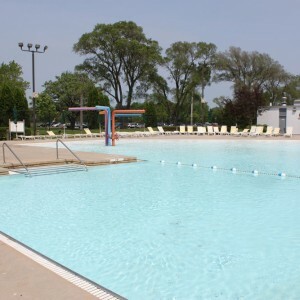 In 1993, Port Shiloh was completely renovated into a family aquatic facility, with the following features/amenities incorporated into the design: Zero-depth pool, lane pool, tube slide, body slide, sand play area, lawn area, concessions area, admissions center, and water play features. The Zion Park District aquatics program has received the “2016 Silver International Aquatic Safety Award”, from Jeff Ellis & Associates, Inc.